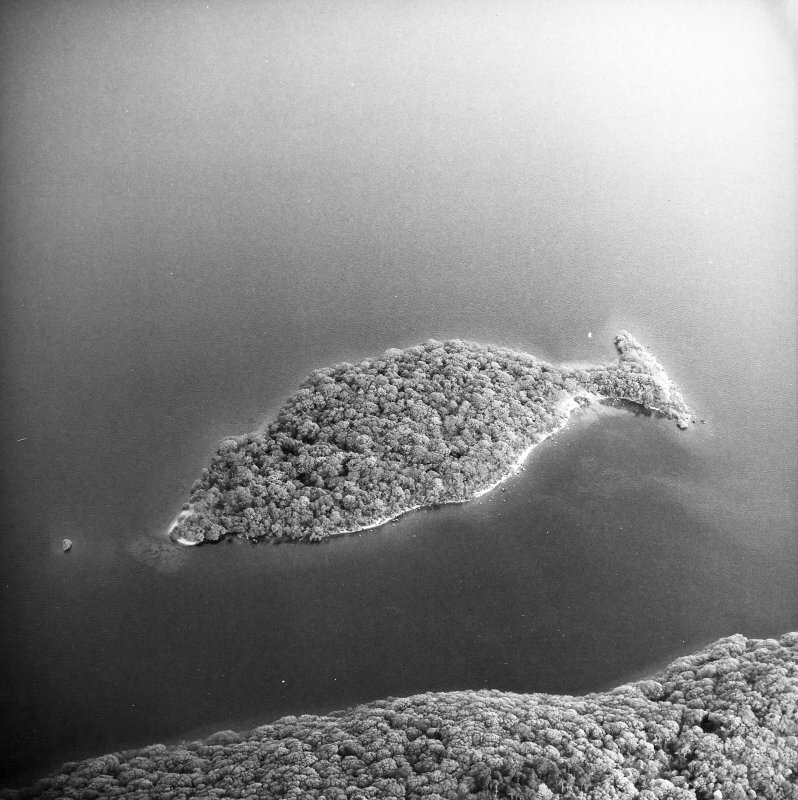 Oblique aerial view of Clairinish, looking NW. 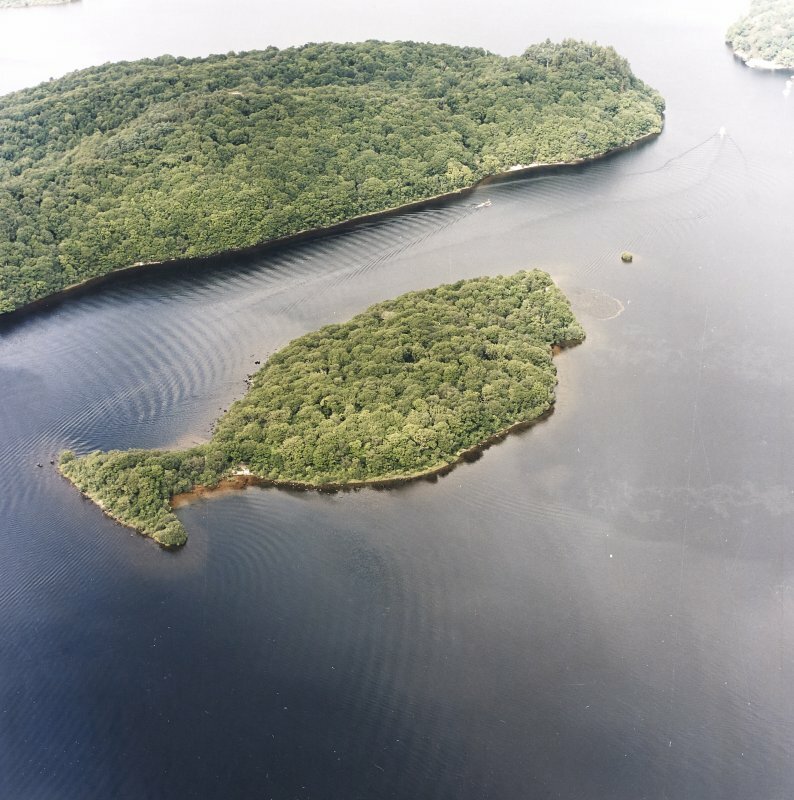 Oblique aerial view of Clairinish and the Kitchen crannog, taken from the SE. 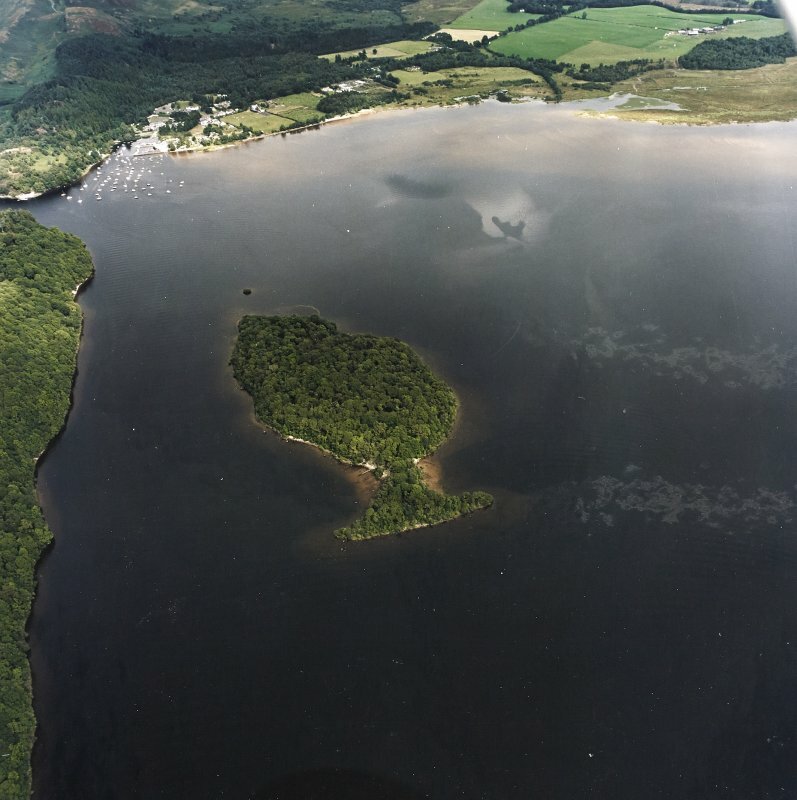 Oblique aerial view centred on Clairinsh Island with crannog adjacent, taken from the NE. 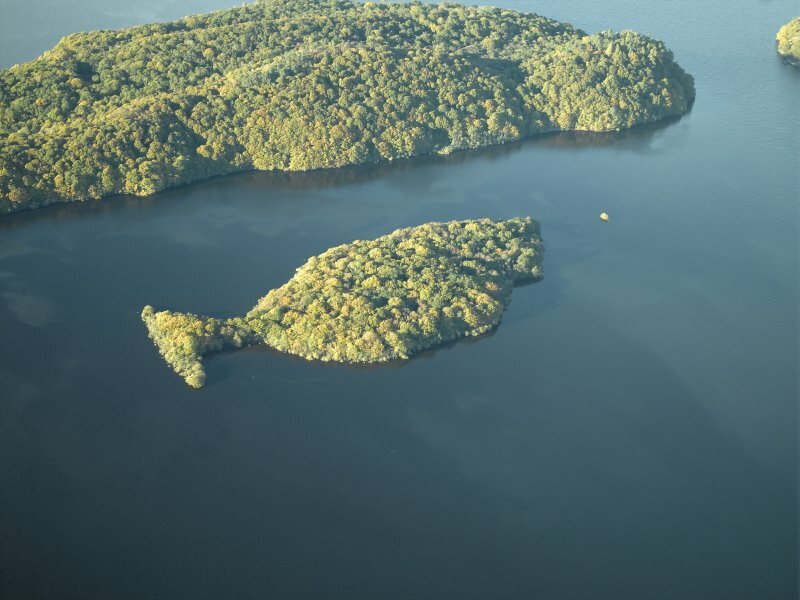 Oblique aerial view centred on Clairinsh Island with crannog adjacent, taken from the ENE. 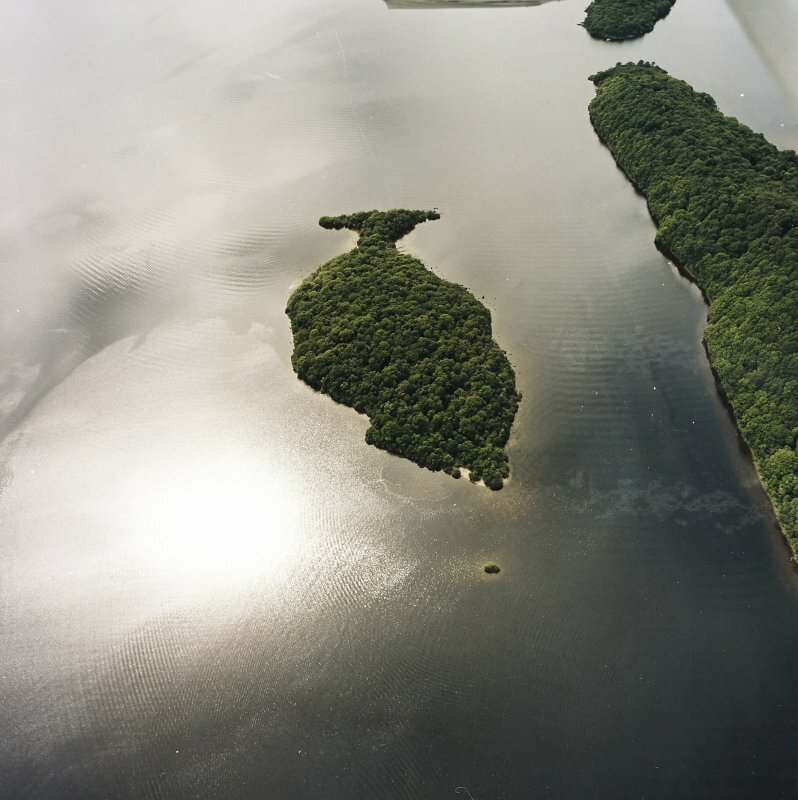 Oblique aerial view centred on Clairinsh Island with crannog adjacent, taken from the SW.
Oblique aerial view centred on Clairinsh Island with crannog adjacent, taken from the SSE. 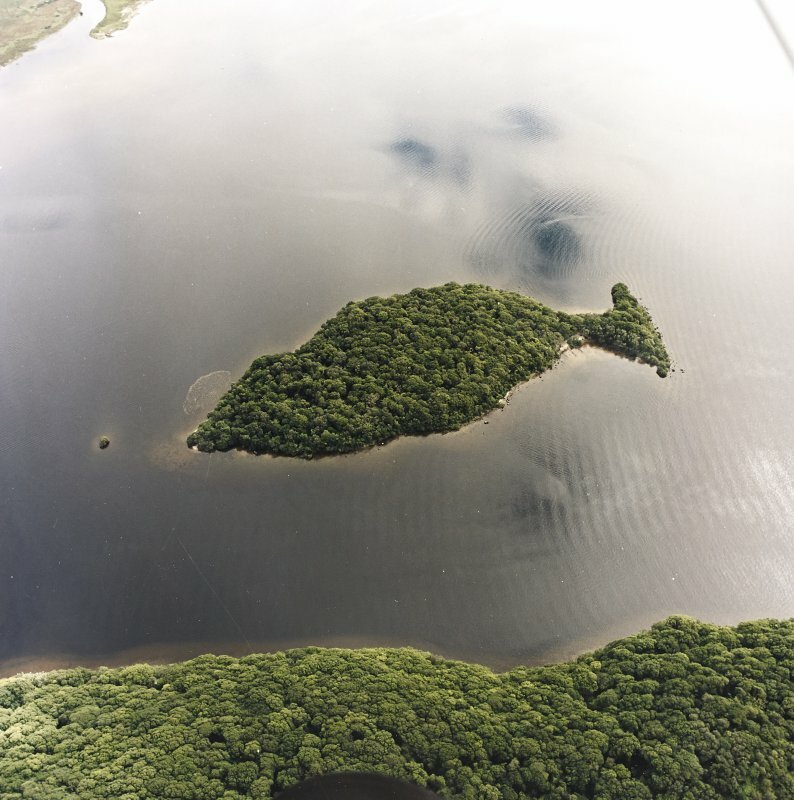 Oblique aerial view of Clairnish and The Kitchen crannog, looking NW. 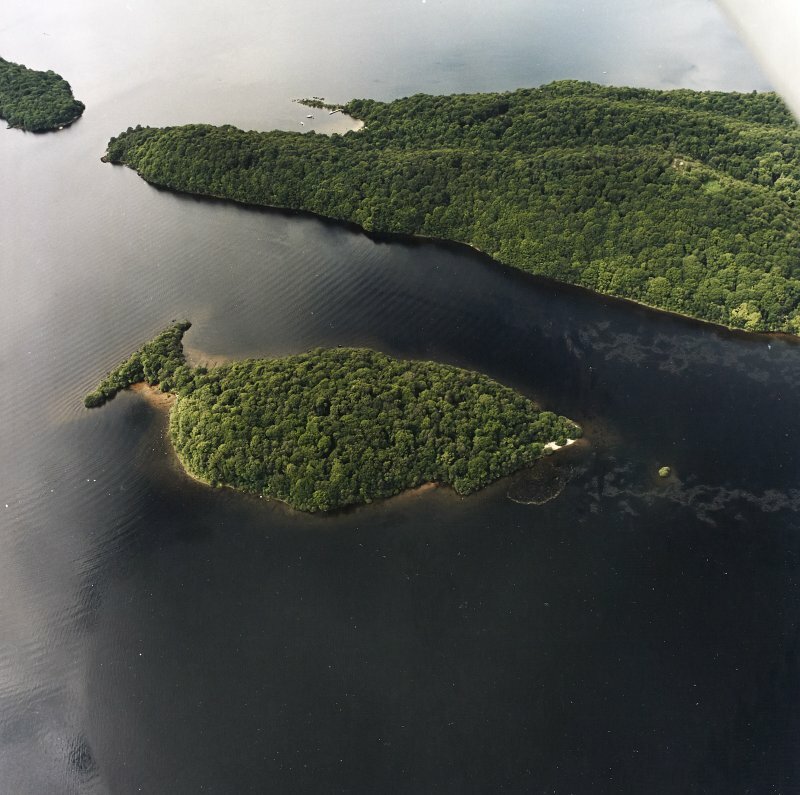 Oblique aerial view centred on Clairinsh Island with crannog adjacent, taken from the ESE. 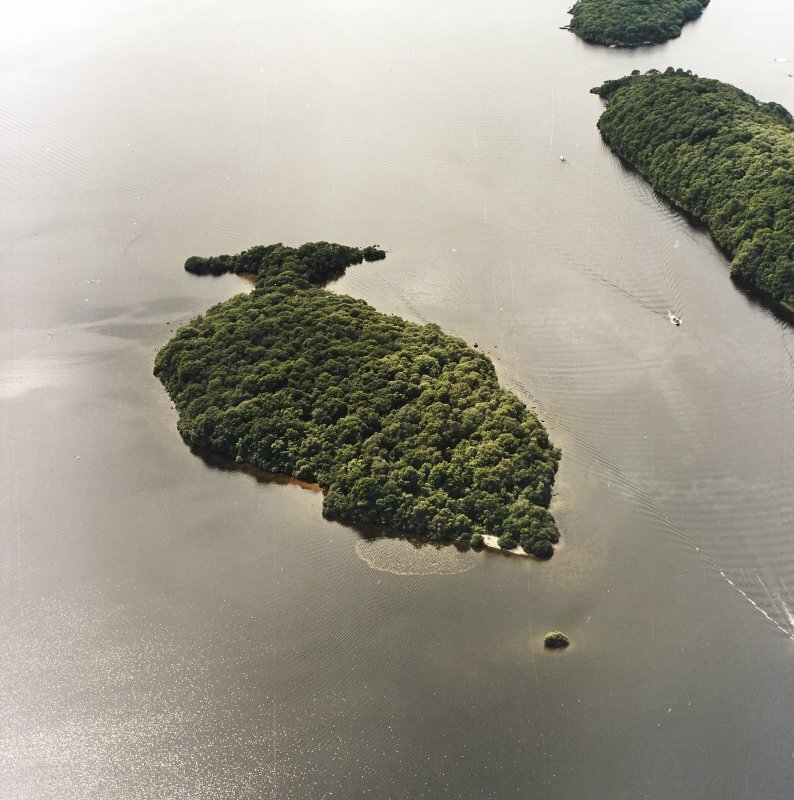 Oblique aerial view centred on Clairinsh Island with crannog adjacent, taken from the WSW. 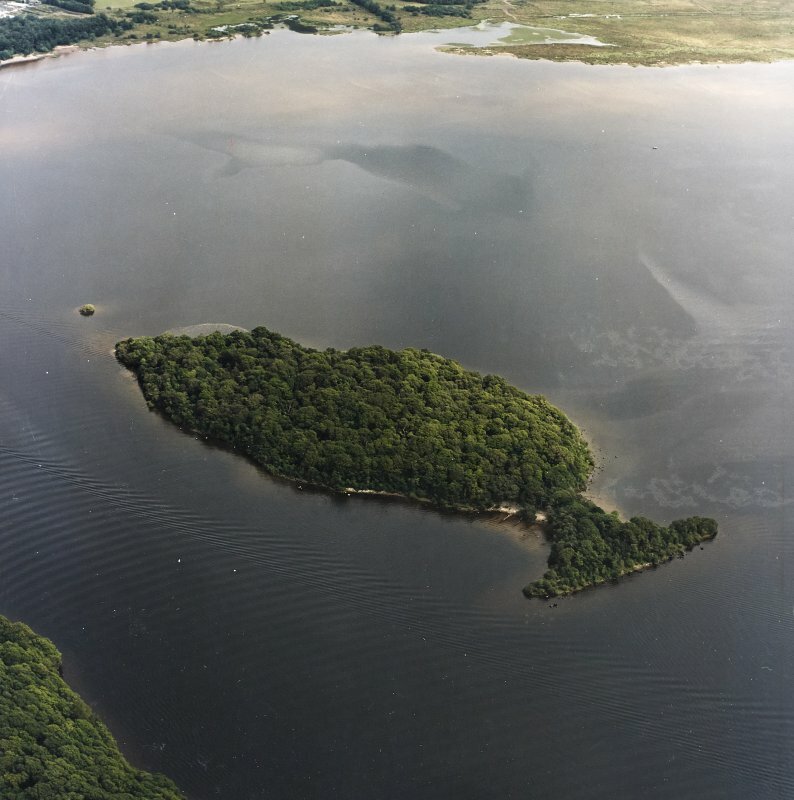 General oblique aerial view centred on the remains of the crannog and the islands, taken from the SE. 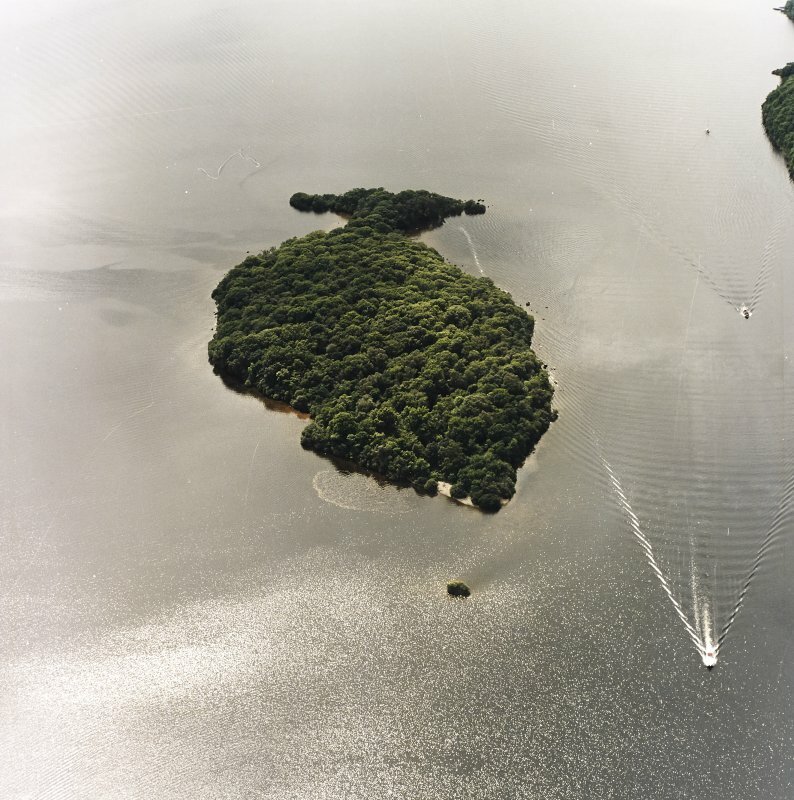 Clairinsh, Loch Lomond. 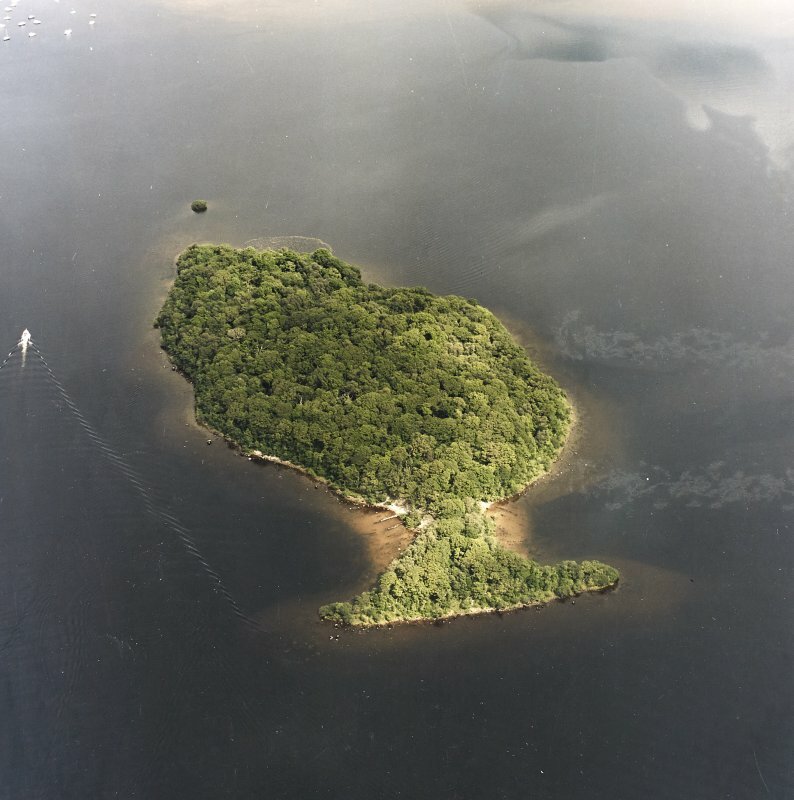 General oblique aerial view centred on the remains of the crannog and the islands, taken from the SE. 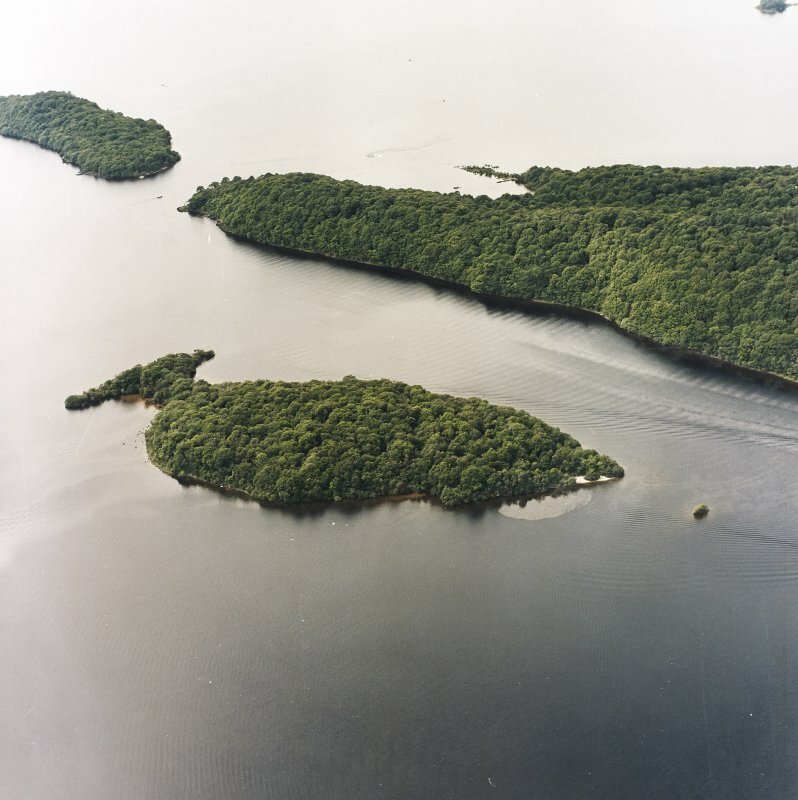 General oblique aerial view looking over Clairinsh Island and the crannog towards Balmaha, taken from the SW.
Oblique aerial view centred on Clairinsh Island with crannog adjacent, taken from the NW. 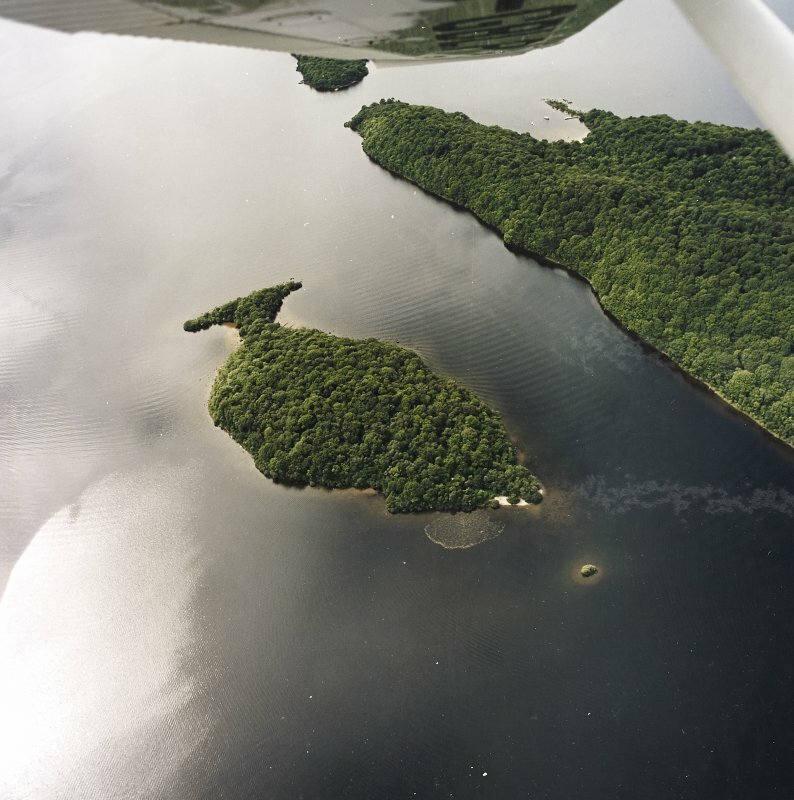 Oblique aerial view centred on Clairinsh Island with crannog adjacent, taken from the E.
NS 4144 9015. 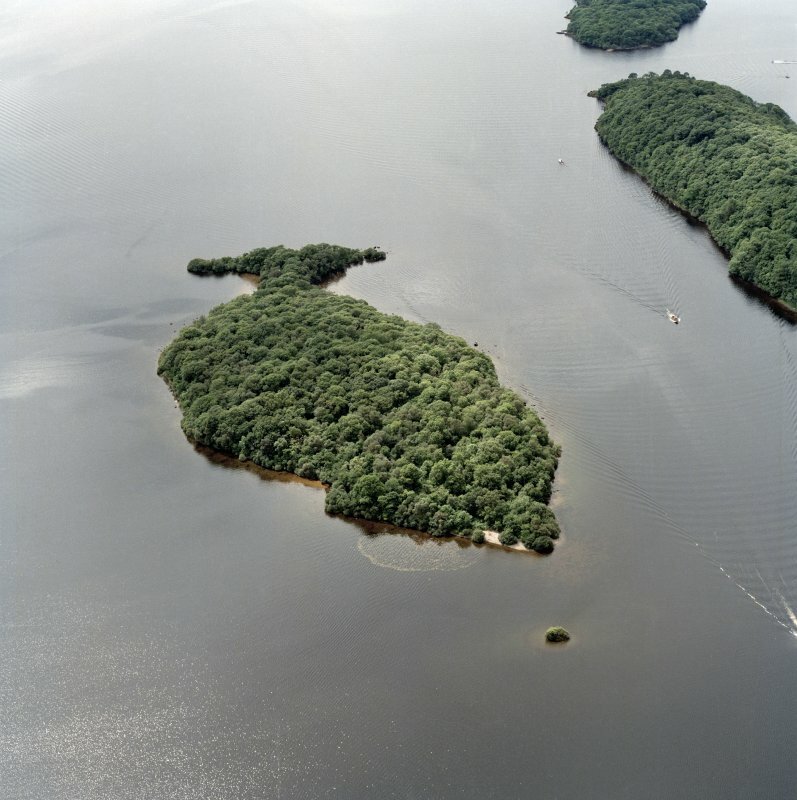 The islet known as 'The Kitchen' is probably a crannog. Though featureless, it consists of stones and boulders, not solid rock like a natural islet. 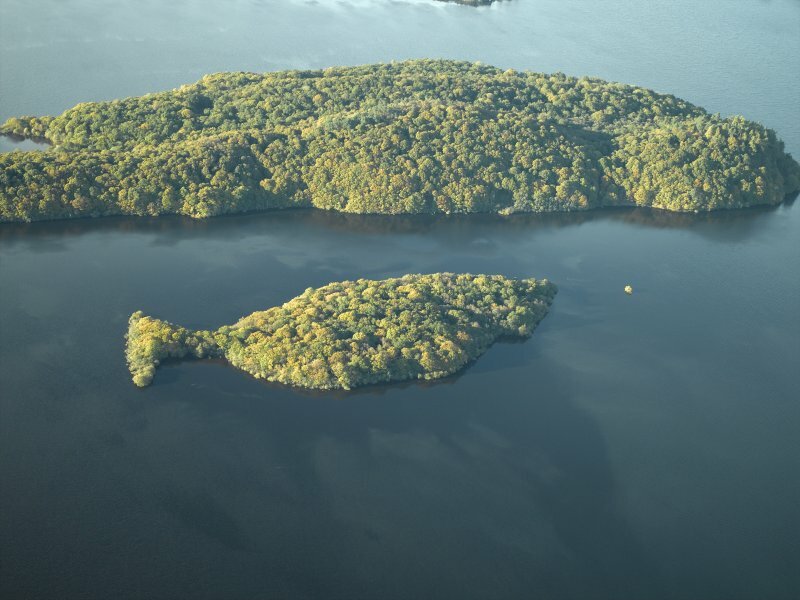 Nimmo refers to this islet as the "ruins of a castle" lying below the loch surface. 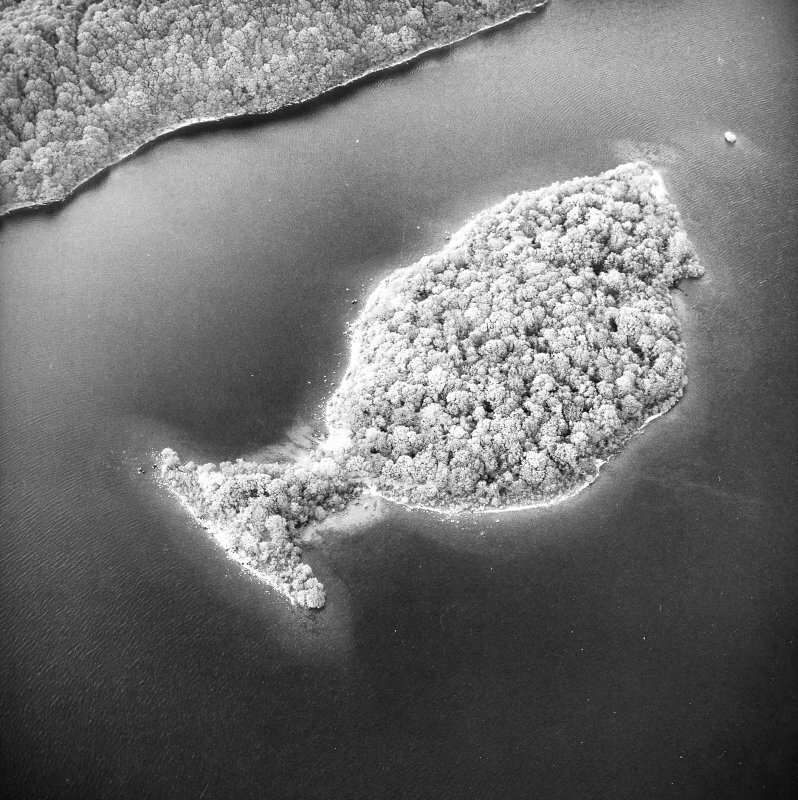 RCAHMS 1963; W Nimmo 1817. Generally as described. 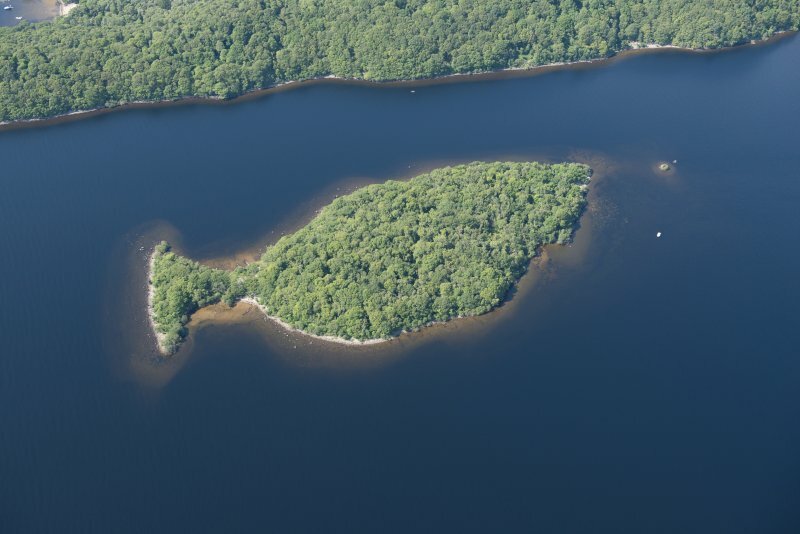 The remains of this crannog measure 18m E-W by 7m. Visited by OS (I A) 21 March 1973. NS 414 901. 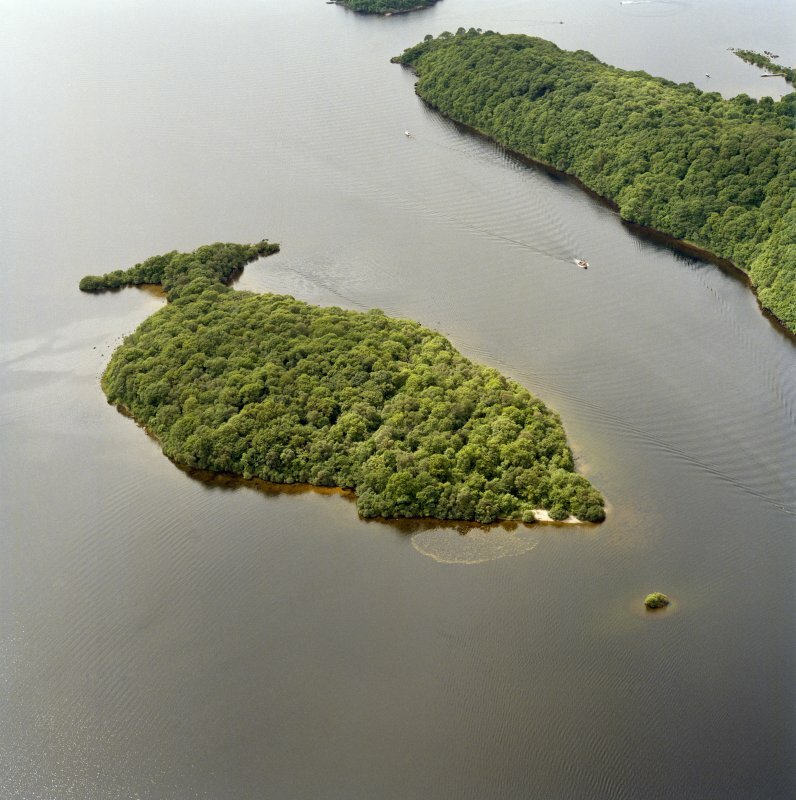 This crannog consists of a mound of earth and stones. 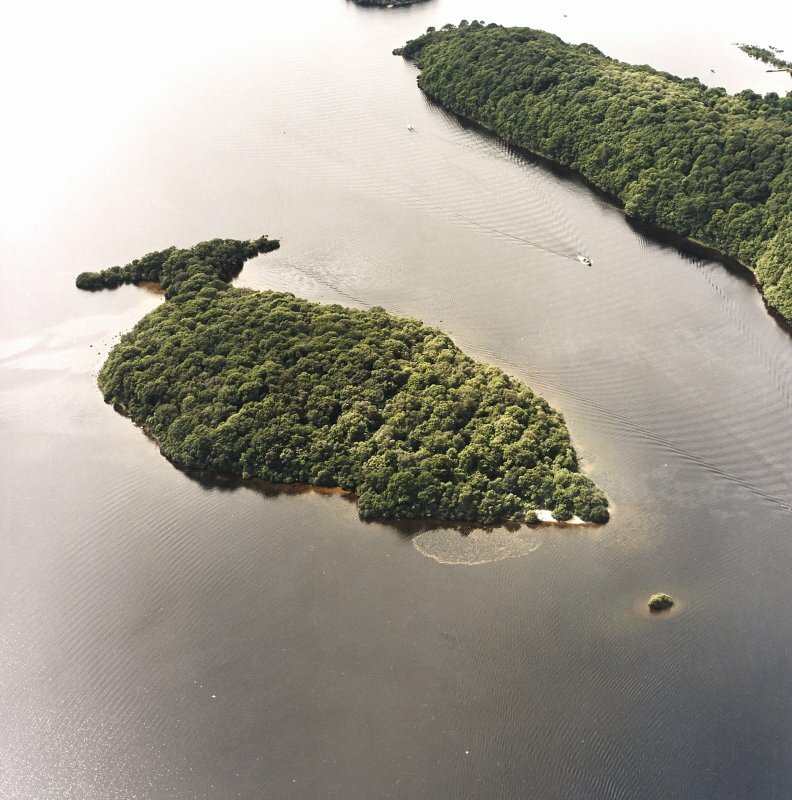 On the NE end of the island of Clairinsh are the remains of a crannog known at The Kitchen. It is a well-known site and is unmistakably of artificial origin. 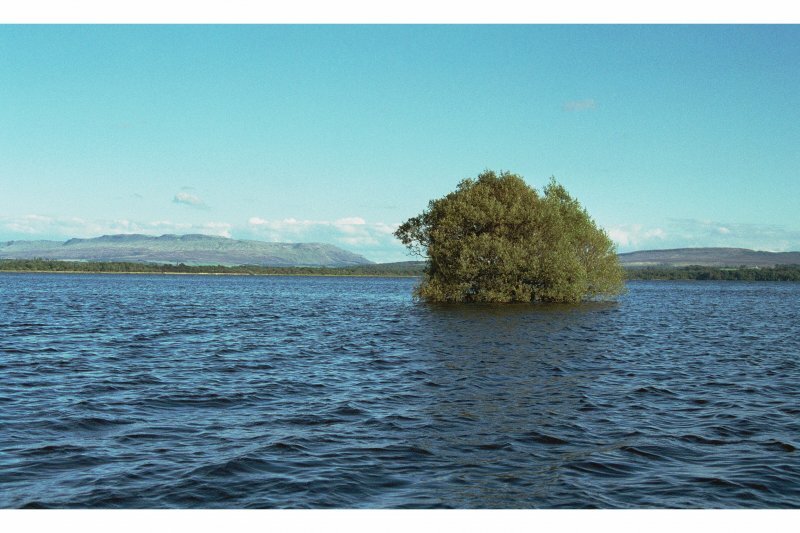 On the day of the survey the top of the site was above the water and there are a number of small trees growing on it but it is often submerged, especiallyt in Winter when the loch level is high. The bottom edge of the site is clear and the break of slope between the top and the sides is also obvious. On the top there is an alignment of stones which appears to delineate a roughly oval platform in the middle of the site. 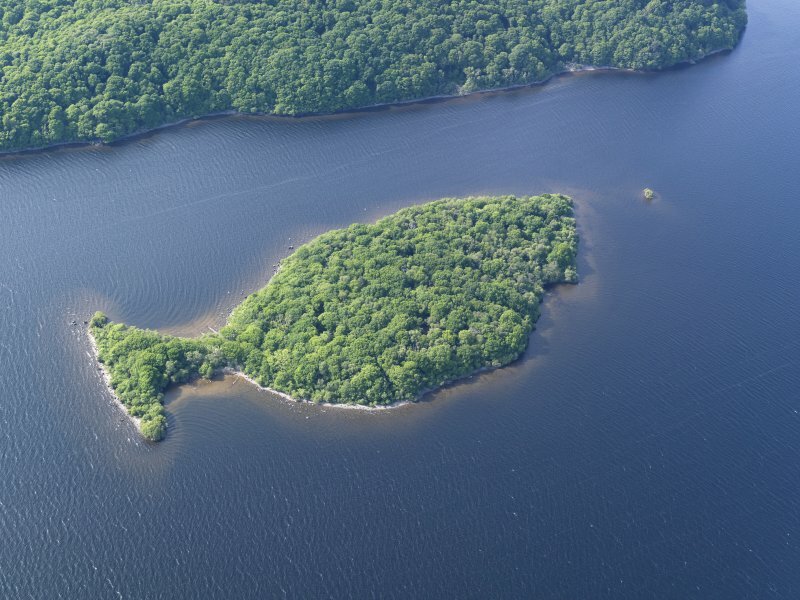 the outline of what seemed to be a small building was noted by the Islay Archaeological Group in 1965. Whether this relates to the original construction is not clear. On the SW side of the site there is a slight protuberance which may have been for landing a boat but requires more detailed survey to establish whether this is the case. 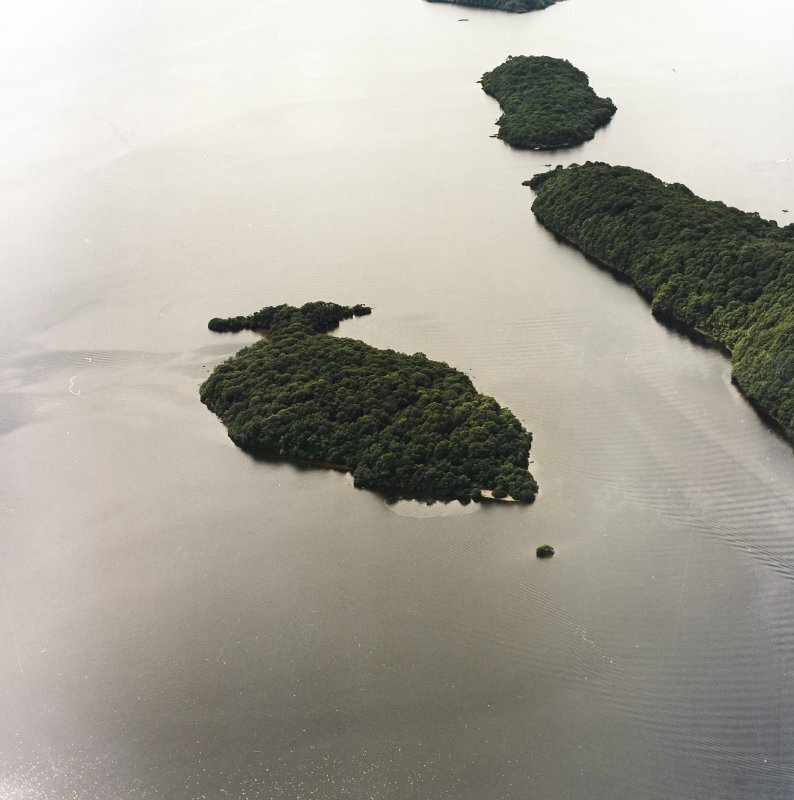 The water between the Kitchen and Clairinsh is shallow but there is no evidence of a causeway or walkway between them. The Kitchen may have been used as a Council Island for the Clan Buchanan who had their clan seat on Clairinsh since 1225. 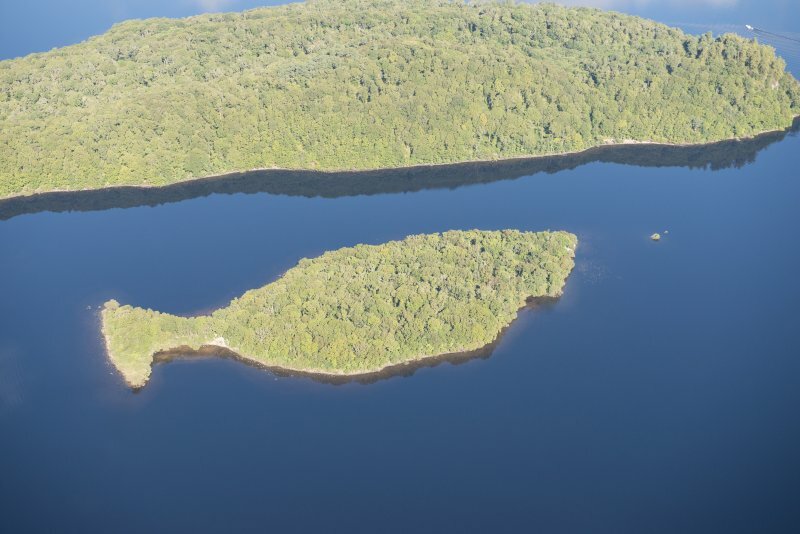 The use of an artificial island as a meeting place during the medieval period is a well known occurence and can also be seen at the seat of Clan Donald at Finlaggan on Islay (NR36NE 23). NS 414 901 The Kitchen or Keppinch. 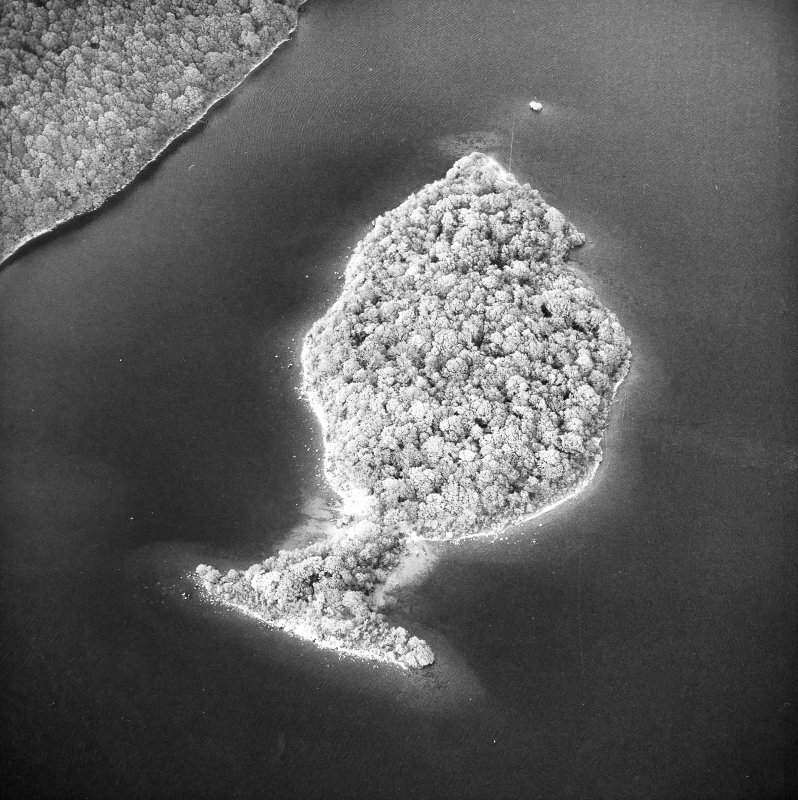 Distance to shore 62m; diameter 28m; height 1.7m; depth underwater - above surface. No timbers located but remains of a stone oval-shaped platform in the middle of the site. Sponsors:	Historic Scotland, Friends of Loch Lomond, Loch Lomond Park Authority/SNH, Dunbartonshire Enterprise. F Baker and N Dixon 1998.